A survey of small business security professionals revealed that distributed-denial-of-service (DDoS) attacks cost an average of $50,000 for mitigation, reduced employee productivity, and lost revenue. If your organization has the problem of 50 grand laying around and can't find anything to do with it, just sit back and wait. Hackers will help you out with that issue. How common are DDoS attacks? According to one research team’s estimate, one is launched every 23 seconds. And that interval is shrinking. As a 20+ year old ISP, Atlantech Online has been on the front lines of network security issues and worked diligently to reducing risk for us and our customers. This has become even more crucial since becoming a Telephone company, as well, in 2005. DDoS attacks are increasing in frequency and evolving to include sophisticated new methods of attack. These trends are unlikely to reverse anytime soon, which can be attributed to the growth of Internet-of-Things (IoT) connected devices hackers use to build botnets. These malware-infected botnets of computers, routers, Android phones, and IP cameras team up to flood a victim's web servers or other systems with requests, causing service unavailability. Researchers predict that by 2020 there will be 24 billion connected devices or four times as many smart devices as humans. 59% of security leaders believe it is at least “somewhat likely” their organization will face a large-scale, sophisticated attack in the next 12 months. DDoS service can be a tool to prepare your organization for the inevitable. If you’re wondering whether you need DDoS services, you’re not asking the right question. More accurately, your organization should be asking “what kind of DDoS services do we need?” As the threat vector has grown, your options have evolved to include two primary types of DDoS services. You could choose DDoS Prevention Services, which are provided by expert security teams, or DDoS Protection Services which typically consist of security apps. DDoS prevention services are a managed IT security service which combines cutting-edge security technology with a team of expert DDoS analysts to detect, prevent, and mitigate DDOS attacks before they impact a client’s business. Dedicated analysts perform analysis on threats in real-time and apply proactive response techniques to redirect botnet traffic. DDoS protection services typically consist of cloud-based software tools which are designed to detect threats and mitigate the impact. As DDoS attacks have evolved to include higher-volume and more sophisticated threats, organizations are increasingly combining DDoS protection with prevention to safeguard against attacks which are hard to detect or overwhelm the capabilities of protection apps. More than 50% of IT security leaders say their organization experienced 10 or more DDoS attacks in the past year. 40% of these attacks were at least 10 hours long. Another source estimates there were 7.5 million total DDoS attacks in 2017. Analyst Carlos Morales attributes this rapid growth to three factors, “motivation of the attackers; the opportunity presented by inexpensive, easy-to-use attack services; and the new capabilities that IoT botnets have.” These attacks are causing "more headaches" than ever for security teams due to sophistication and size factors, according to Kaspersky analysis. DDoS attacks are evolving. Not only are more attacks being launched than ever, but innovative criminals are also finding new ways to incorporate emerging technologies for higher-volume attacks. Innovation is driven by the proliferation of IoT devices and financially motivated threat actors. The DDoS-as-a-service industry operates much like legitimate platform businesses in the tech industry. Sophisticated malware authors create user-friendly DDoS tools and sell monthly subscriptions. For as little as $19.99 per month, hacker customers can gain access to a user-friendly DDoS tool which can include chat technical support. 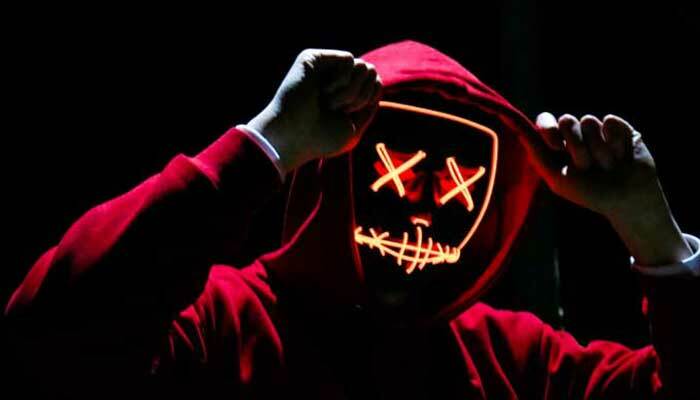 While the trend originated on the dark web, criminal entrepreneurs have gotten gutsier about marketing their services. One individual who wentby the name “Gwapo” even advertised DDoS services on YouTube. In the past year, DDoS has trended towards larger-scale attacks. 2018 saw the highest-frequency attack yet; the first terabyte-per-second-scale threat. In the first half of 2018, there were seven times more attacks larger than 300 gigabytes-per-second than in the first half of 2017. Unfortunately, the emergence of the shady DDoS-as-a-service industry is likely to cause continued innovation among entrepreneurial cybercriminals. Falling victim to a DDoS attack is probably even more expensive than you think. As we mentioned above, you can expect a successful DDoS attack to take $50K out of your account. But the numbers could go higher. Several major global enterprises who fell victim to the 2017 NotPetya attack have reported staggering financial losses related to the incident. Pharmaceutical brand Merck lost a reported $135 million in sales and $175 million in recovery costs. FedEx's losses from a DDoS attack were estimated at $300 million. DDoS threat actors are also beginning to couple attacks with other costly illegal activity, which can increase the costs of recovery to include mandatory breach reporting, customer notification, and more complex recovery. 85% of security pros report that DDoS attacks are sometimes used to distract security teams from data breach activity, while 71% say their organization experienced an attack which demanded a ransom. 78% of security professionals who have experienced a DDoS attack say the “loss of customer trust and confidence” was the greatest damage to their business. "Network and web services availability is crucial to ensuring customer satisfaction and sustaining customer trust and confidence in a brand," says security researcher Ashley Stephenson. She reports that the impact on brand reputation occurs as soon as customers notice a website or app is down. In highly competitive marketplaces, this can be a particularly costly and detrimental side effect. One little-discussed impact of DDoS attacks is how incidents impact employees. This can occur when employee data is compromised, which some researchers believe may happen in 1-in-3 incidents with data loss. Identity theft is the eighth greatest fear among Americans, with 66% of victims reporting long-term financial consequences from the event. Employees may need to miss hundreds of hours of work to restore their identity. If your organization has a website, apps, or depends on technology to do business, your organization could likely benefit from protection against DDoS threats. Opting for managed DDoS protection services can provide access to expert analysts and best-of-breed technology and infrastructure to avoid costly downtime, reputation loss, and other negative consequences. To learn more about how to find the right DDoS solution for your organization’s needs, we recommend How to Evaluate DDoS Prevention Services. Atlantech Online offers DDoS Protection Services (DPS) based on NTT Core for businesses in the greater Washington D.C. metro area. DPS Core is an advanced approach to full DDoS mitigation support which includes a dedicated Network Security Team. To learn more about Atlantech Online’s DPS, click the button below to get a quote today.